To simplify complex fractions, begin by simplifying the numerator and denominator separately and rewrite the problem using the simplified fraction. 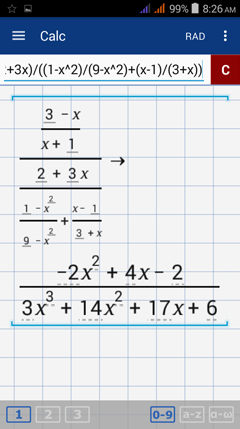 Then multiply the fraction by the reciprocal of the denominator to bring the denominator up to the numerator. Since both the numerator and denominator contain fractions, simplify them separately. 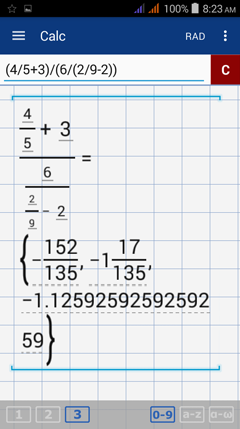 Step 1) Simplify the numerator by subtracting 3 from 4/5. 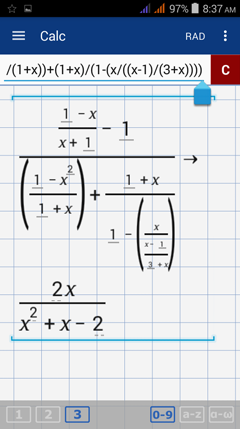 Step 2) Simplify the denominator of the denominator. 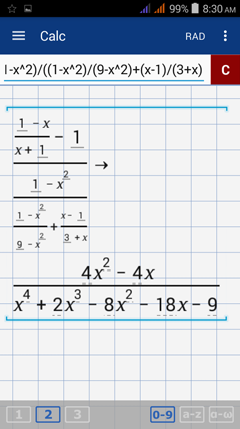 Step 3) Bring the denominator of the denominator up to the numerator. Step 4) Divide by the denominator 6. 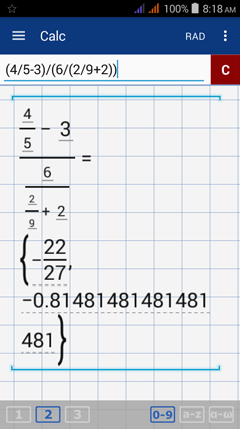 The app can perform all of these operations at once by grouping the fractions. An example is shown below. 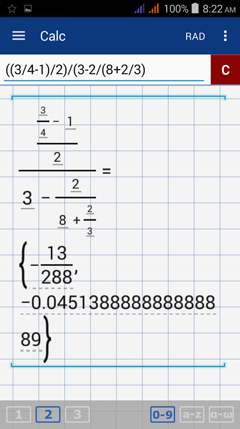 Note: (4/5-3) is grouped in parentheses as the numerator. [6-(2/9+2)] is grouped as the denominator. Make sure that the grouping is correct and that there are no missing parentheses.